There will be a lot of movement this NFL offseason, but typically it won’t have a huge impact on the fantasy football realm because star players don’t change teams very often. As we’ve seen with Davante Adams, who signed a contract extension with the Green Bay Packers, teams like to retain their top players. A report from ESPN Now came out Wednesday night that the Los Angeles Rams are going to use the franchise tag on wide receiver Sammy Watkins. The tag this year for a WR should range about $16 million. That’s a huge number for a guy who has only one 1,000-yard-receiving season in his career. The money is likely to be huge in this WR market, with Jarvis Landry expected to be the biggest earner. 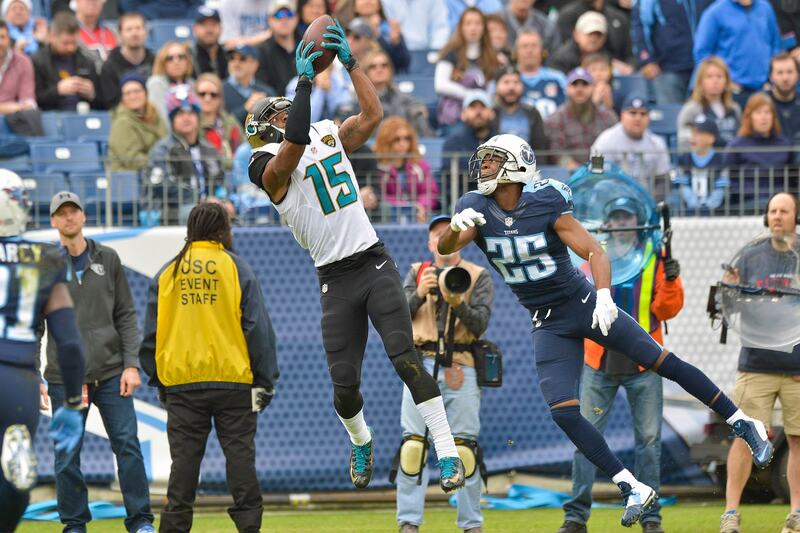 The guy I’m most interested in following this offseason is Allen Robinson. Back in 2015, Robinson broke out with a tremendous 1,400 yards and 14 touchdowns, but fell back down to earth in 2016 with a disappointing 883 yards and six touchdowns. Robinson received as many targets in 2016 as he did in 2015 (151), but he and quarterback Blake Bortles failed to rediscover the connection that made them so successful in 2015. 2017 was yet again a disappointment for Robinson and his fantasy football fans. His season was cut short with an injury in the first game of the season, after just three snaps. He is an intriguing free agent name. A guy coming off an injury with at least one big production season, and is unlikely to return to Jacksonville. There are several teams in serious need of a big athletic WR with Robinson’s ability. The Chicago Bears, Washington Redskins (especially if Kirk Cousins stays), New York Jets, Kansas City Chiefs, and Miami Dolphins all come to mind. The San Francisco 49ers are an offense on the rise after a splash just before the trade deadline. They acquired QB Jimmy Garoppolo from the New England Patriots for a second-round pick. They went on to win their last five games and scored more than 25 points in each of their final four games. At the moment, they don’t really have a legit #1 receiver to take a game over the way Robinson has shown he can in the past. Pierre Garcon is going to be 32 this year, and their second leading receiver was rookie TE George Kittle. Marquise Goodwin led the team in receiving yards and was second on the team in receptions, but is more of a deep threat, DeSean Jackson type of player than a target 150 times type of guy. They don’t really have the “alpha-male” type of receiver and Allen Robinson can be that guy with the right quarterback. Set to be 25 in August, he’s young enough to still have a bright future ahead of him, and will probably elevate his game playing with a superior quarterback in Garoppolo. Head Coach Kyle Shanahan’s experience with Julio Jones would be a huge boost to Robinson and fantasy footballers as well. He’d know how to use Robinson’s size and catch radius to make him a huge weapon for Jimmy G and the Niners. The NFL offseason rarely goes how people expect, but if Allen Robinson and the San Francisco 49ers can make this happen, it would be a huge win for the everyone. Fantasy footballers included.